We are diverse, but how equal are we in Matabeleland? Was the 2015 Mzilikazi Day hijacked or inadvertently outsourced? The Mzilikazi Day has come and it seems not only gone but almost instantly blown away and out of many people’s minds! You know something is amiss when the major subject of the news after a celebratory occasion is not the occasion being celebrated but the guest list. 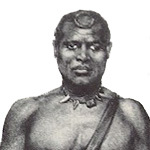 I am a fierce Mthwakazi patriot, I am very proud of our roots, proud of the heroic achievement of the monarchy, the disciplined military organization, nation building and leadership skills of our two kings – Mzilikazi and Lobengula – but a royalist I am not; I am a republican! The restoration of a monarchy is the least of our problems; economic and political insecurity remains our biggest threat today. Recently a question was asked of the role the Ndebele royal family should play in an independent Mthwakazi. My immediate thought was ‘What role is the Ndebele royal family playing in a subjugated Mthwakazi?’ Should we – in the knowledge of the demographic and political changes in Mthwakazi – entertain the idea of a Nguni (or any other ethnic group for that matter) monarchy at the helm of a multi-ethnic Mthwakazi state?